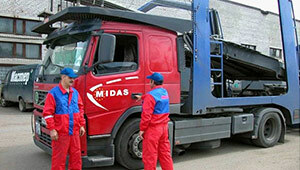 Our «MIDAS-service» division offers quality repair and maintenance of your trucks. We provide maintenance and repair of trucks and trailers to both legal entities and individuals. If you use services of our car service center, you will receive affordable and quality expert help to repair. MIDAS-service makes maintenance and repair of trucks, container trucks, trucks SCANIA, VOLVO, MERCEDES, trailers of different brands and manufacturers, and repair of installations for the transport of cars LOHR, KASSBOHRER. Qualified staff of our car service center has an extensive experience and all necessary equipment for quality auto body repair of trucks. Professional experts carry out all the necessary welding, turning and milling work. 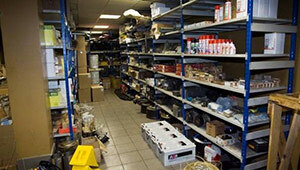 We possess a stock of spare automotive parts of the best domestic and European brands to reduce repair time of vehicles and help our clients not to waste their time searching for the necessary details. 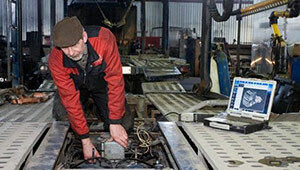 Specialists of «MIDAS-service» are always ready to make recommendations and assist in the selection or ordering of automotive parts and materials required for the repair of your vehicles. In our company we are well aware of the fact that not only business but also life and health of people depends on the technical condition of the car. We work the way you to be able to safely rely on your car when going far away. Every day we test its endurance, and sometimes strength. We care about our reputation and, thus, we are highly responsible for all our obligations. The combination of honesty and reliability towards our client is our corporate MIDAS style.